The path to true love isn’t always smooth. The dialogue was a lot of fun. It included snappy comebacks and a few retorts that made me giggle. Ms. Bain-Vrba definitely showed off her playful sense of humor in this tale. What I enjoyed about this the most was how the author used the comical dialogue to reveal her characters’ personalities. Nobelle and Danna both had incredibly unique voices. It only took me a short amount of time to immediately know who was speaking simply by how they strung words together. There were a few issues with the conflict in this story. While I liked the fact that the characters had to overcome so many obstacles during their adventures, I would have preferred to see them spend more time struggling to find solutions to their problems. Allowing them to figure out those solutions so quickly dampened the tension that should have been rising as the plot moved toward its exciting conclusion. Danna and Nobelle’s chemistry didn’t show up right away, but seeing it develop was well worth the wait. At first glance they appeared to have completely opposite personalities and interests. What I found compelling about their growing attraction, though, was just how much they had in common once I pushed past my first impressions of them. They appeared to be a good match for each other which made rooting for them to get together even more rewarding than it might have been otherwise. 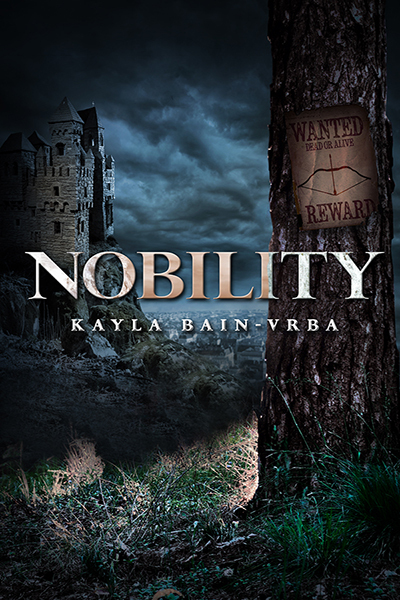 Nobility is something I’d recommend to fans of the romance and fantasy genres alike.